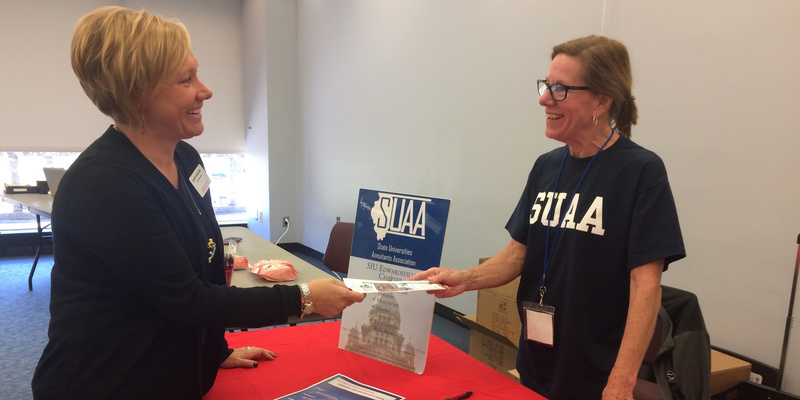 When you join SUAA, you join over 14,800 Illinois university and community college employees, retirees, and their beneficiaries seeking to protect and preserve what was promised to each of us in our retirements. Over the years, we diligently paid our fair share into the system. It was the Legislature that failed in its responsibility to adequately fund its portion. SUAA is only as effective as the many members we represent. We actively oppose legislation that increasingly attempts to balance the State budget by reducing retirement benefits. There is strength in numbers. Legislators are more likely to listen to the many who speak up for what is right. Make sure your voice is heard! Join SUAA today. Joining is easy! For just $39 per year ($3.25 per month), you’ll receive the benefits of belonging to the organization on the front line of providing the necessary experienced support to protect our benefits today and into the future. Employees can pay by check, checking account debit, or credit card; while retirees also have the option of paying monthly via a SURS annuity deduction. Join Online through the SUAA website. Note that you will be asked to provide your email address before you will be taken to the actual online registration site. Need help? Contact Jo Gibson, chapter membership coordinator, at jgibson@siue.edu. SUAA provides a communication network to members through their website, newsletters, legislative bulletins, workshops and meetings to inform and update members on both local and state issues relative to pension and healthcare benefits, building a knowledge base to help members better understand how legislation can affect those benefits. Members receive full access to the SUAA web site (including their Legislative Watchlist, Mini-Briefings, and speaker videos), periodic legislative updates, and discounts from a number of corporate partners. SUAA/SIUE Chapter members receive periodic emails regarding upcoming local seminars and chapter meetings, as well as timely legislative updates and calls to action when warranted.